The stylized flower pendant has a classic shape with combines beautifully with the hand-dyed two tone Lucite flower. 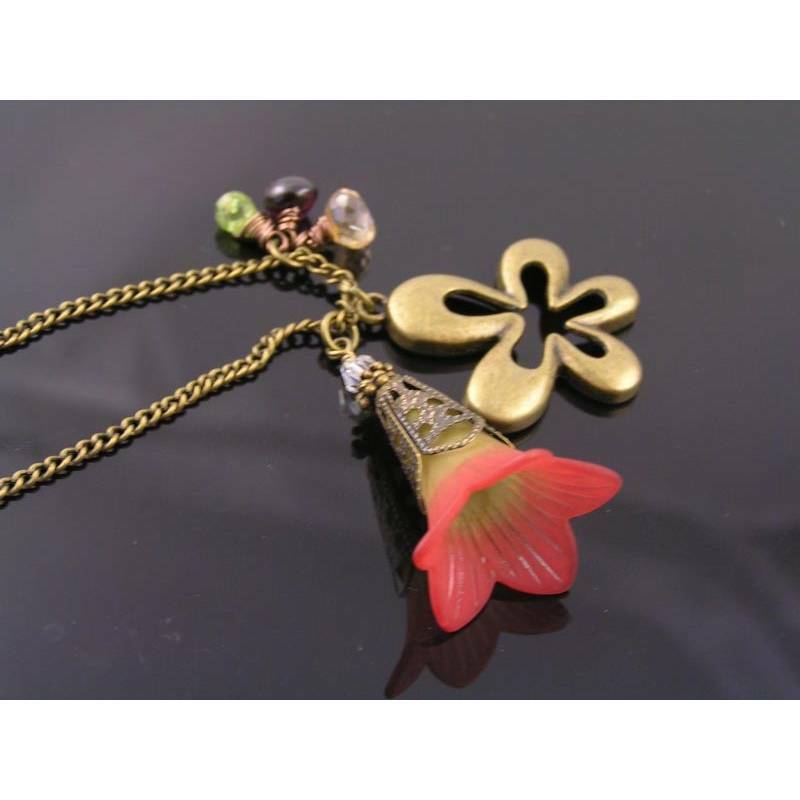 I have added a stylish bead cap, spacers and a little clear crystal to the flower. 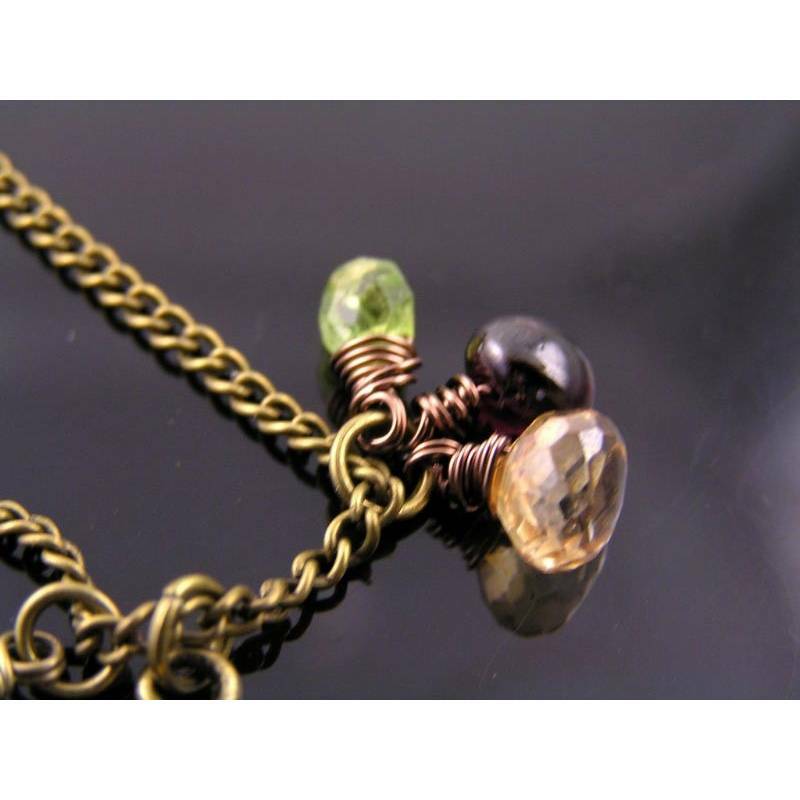 I have also added a gemstone cluster, consisting of Peridot, Garnet and an apricot coloured Mystic Quartz drop to the necklace. 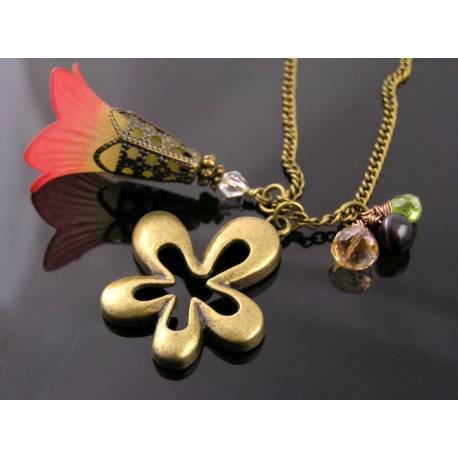 All pendants are threaded onto a curb link chain which closes with a lobster claw clasp and has a little matte olive Czech glass drop attached next to it. All metal is antique brass/bronze finished.